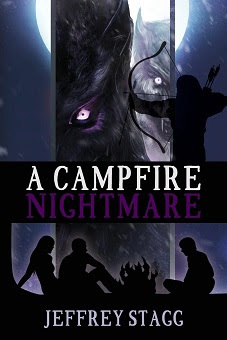 My name is Jeffrey Stagg and I am the author of A Campfire Nightmare. First, let me take a second to thank I Smell Sheep for allowing me to feature a guest blog on their site and also giving me a chance to write about a subject that I doubt many people reading my book would ever think about. I am going to tell you how to take care of a Warwolf. For those who don’t know, Warwolves are like werewolves, except with minor characteristic differences. Warwolves stand between 7 to 8 and a half feet tall and weigh hundreds of pounds. They also have short, nubby tails not long bushy tails like werewolves. They are one hundred percent killing machines that don’t really think, having less intelligence than a normal dog. They are very instinctual, following an alpha. Now, if you were foolish enough to try and keep one as a pet (I don’t recommend it), here is how you’d take care of it. First of all, you can’t just have one. They have a pack sensibility, so, you’ll either have to own a couple of them or you’ll need to try and get it used to other animals as part of their pack… generally, this will lead to you having to buy new pets on a daily basis after the Warwolf tears them to shreds. Beware of those claws and teeth! Warwolves are highly aggressive, carnivorous beasties that generally survive on a diet of: humans, deer, elk and practically anything that bleeds. My recommendation is to feed them while you keep them caged up in a pen made of iron bars five to six feet thick. Now, as you approach the Warwolf with its meal, remember, they want live food so that’s going to be fun. Do you have some relatives you absolutely don’t like? They will be perfect! Send them down to meet “Fluffy”, “Pookie”, or whatever you named it! The Warwolf will take care of the rest. Once fed, you need to take your Warwolf out on a walk. Warwolves are super sensitive to light, so jaunts in the daytime are pretty prohibited. Unless you want to see you wolf’s eyes burn and the wolf practically char from the inside out. Not saying it would be a bad thing, but, it’s your pet, you do what you want with it. After the walk, you should bathe your new found pet. Might I suggest in a room completely sealed off and filling it with water, straight to the top! Give it two or three hours and your pet should be nice and clean. If you haven’t gotten the point yet, when it comes to caring for Warwolves, overall, don’t even try. They’re psychotic killing machines that are hard to take down even if you’re a Dawn Treader or Night Stalker. They’re not your typical house pet. I’d stick to something a little less dangerous like a great white shark, rabid mountain lion or a chimpanzee with a loaded gun. 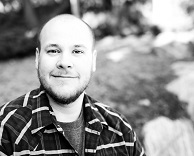 Jeffrey was born in Ogden, Utah in 1989. Born to a podiatrist from Utah and a rancher's daughter from Montana. Stagg was able travel throughout his childhood finding solace and inspiration in the wild. I hope you enjoy it and found this as amusing to read as it was to write. I enjoyed reading the guest post and learning more about this book. This book sounds like quite an interesting read. Looking forward to checking out this book. Thank you! I hope you enjoy it and share your thoughts about it. I enjoyed writing this guest blog, it made me laugh and really think about warwolves. Now this is really different. Thank you! I appreciate the thoughts and hope you find other posts during my tour as interesting! I liked the prologue and look forward to finding out if the rest of the book is as good. I hope you read it and share your thoughts! Coming up on the blog tour will be many different writings and pieces you mind find insightful. I hope you will enjoy them! Hey guys, Thanks for showing interest. I hope you thought that was enough to catch an interest. I'm actually going to be writing comments on her if you have any questions about the book! Thank you! For more information on my book, you can check out my website or follow along on the tour. It was very interesting learning about warwolves. Thank you, I hope you follow along with my other posts and learn more about the book and warwolves. They have a secret that few people know about. I thought this would be a fun subject. As soon as I Smell Sheep suggested it, I started laughing. I figured trying to take care of warwolf would be funny since I think they're terrifying even though I made them! Looks like a great read. Thank you for sharing! I enjoy the comments so much. If any of you have any questions for me or want to discuss anything about writing Urban Fantasy, I would be more than happy to talk with you! I stand by my words. Warwolves are vicious monstrosities. If anyone follows along with my books they'll know why. As you can see, I really like my warwolves. From the prologue, I got a good feel of the author's sense of the humor. I like his tongue in cheek approach. Hahaha Oh, I'm glad you get a sense of my humor. I hope it peaked your interest in it. My humor, thankfully, does stretch into the book with the boys. Thank you for commenting Sue!